Before she moved to the Heritage, Mary Gene sold her car, however, she still gets out. “Every Wednesday, you can sign up and go out for lunch and shopping. Natalie is such a good driver and she makes you feel like you’re going to have such a good time. And we do!” she said. Also weekly is housekeeping services of her private room. “Anne comes every week, and she’s so sweet and considerate, obliging in every way,” Eldridge added. The Heritage at Carefree has turned out to be everything Mary Gene imagined. She wouldn’t live anywhere else. She enjoys being active, loves the food, even attends the religious services when available. “The Heritage is one of God’s blessings,” Eldridge assured. 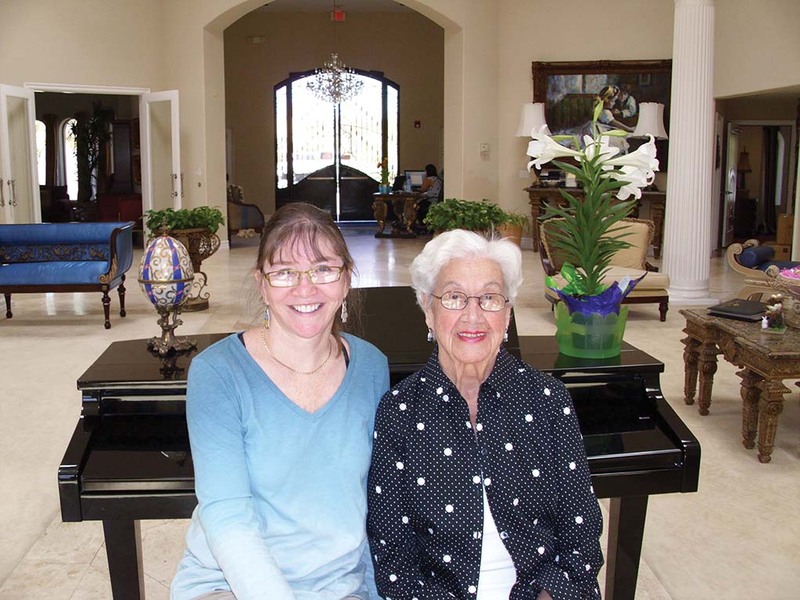 Learn more about the Heritage at Carefree Retirement Living (36590 N Pima Rd) by going online at www.heritagecarefree.com or by calling 480-488-1622. Residents may choose a one-bedroom, two-bedroom or studio efficiency, each with its own kitchen and bath.